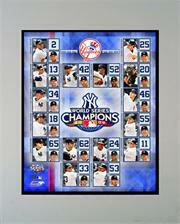 With 27 World Series titles and 40 American League Pennants under their belts the New York Yankees will always be a huge part of America's favorite past time. 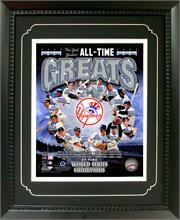 Some of the greatest players in baseball have hit home runs, stolen basses and pitched the greatest games of their lives within Yankee Stadium. 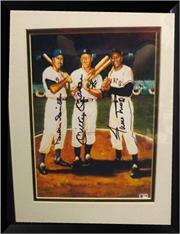 Babe Ruth, Whitey Ford, Lou Gehrig and Mickey Mantle are just a few of the amazing players to don a Yankees uniform. 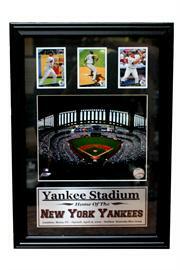 Now you can bring home some of that MLB history and New York pride for yourself. 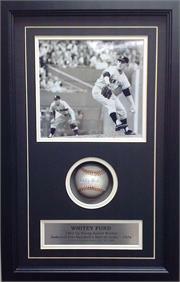 Our collectibles offer everything from plaques to signed Yankee memorabilia and so much more. 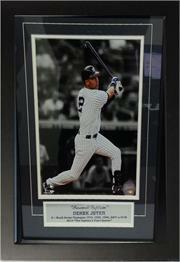 12x18 Double Frame - New York Yankees "Jeter's Farewell"